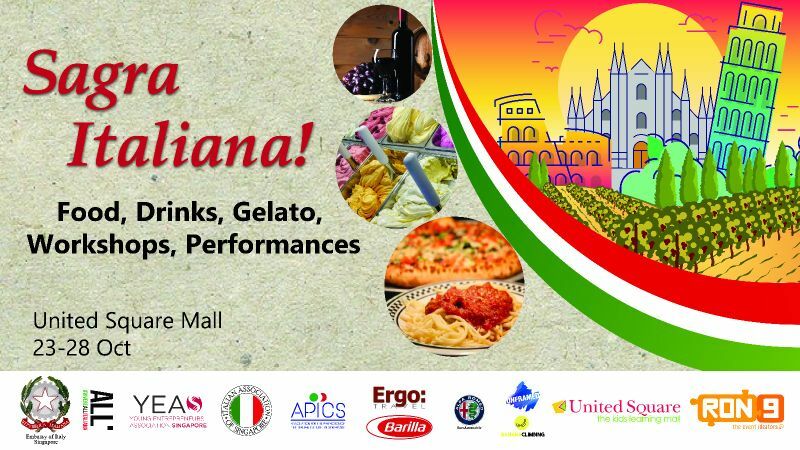 Shoppers can experience authentic Italian culture in the city at United Square through the week-long Italian-themed festival delighting both young and the young at heart. There would be 30 local and Italian vendors setting up shops at the mall offering a spread of food, fun and fashion and also a 4 metre 'Tower of Pisa' for children to climb. Shoppers can also expect performances by Opera singer Phoebe Chee, Italian folk songs, lucky draw giveaways every night and masterclass workshops carried out by Niccolo Targetti, who is flying in to share his grandmother's secret recipes. - Dmiminis - Locally designed and hand-crafted leather bags specially chosen from the best cut of the raw hide to elevate its natural design. - Gnome & Bow - World's 1st storytelling leather bags and wallet. Founded on the notion that leather bags and wallets can go beyond functionality to become a new medium for storytelling. - Joan's Jelly House - fully customized hand-made jelly desserts. Design is limitless! - 101 Caffe - Using their patented and modernized Italian designed coffee machine, they brew the best coffee. - Italian List Asia - Sells boutique Italian organic certified wines. They use a traditional concept of wine-making hence a highly exquisite and flavourful taste. - iL Lido - The ilLido Group is a collection of unique and high quality concepts founded by renowned Italian restaurateur Beppe De Vito, with a mission to elevate the Italian dining scene in Singapore. - Junior Art lab - Edtech social enterprise committed to creating unique learning experiences to nurture creativity and innovation through art, design and technology. Under the patronage of the Embassy of Italy in Singapore, Young entrepreneurs Association is organizing this unprecedented event proudly with the Italian community including Italian Association of Singapore, Association of the Promotion of the Italian Culture in Singapore.